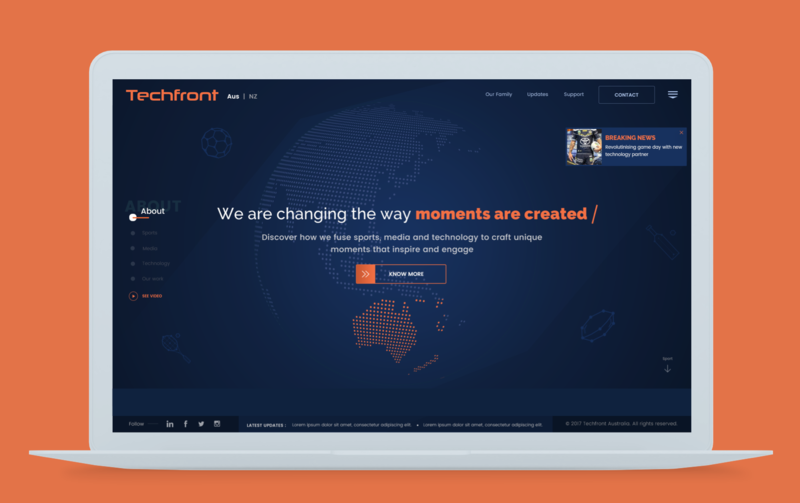 Techfront Australia is a company which was built by people passionate about sports with a single vision of creating the ultimate fan experience. For which Techfront created cutting edge LED and display technologies to immerse sports fans in better experience. 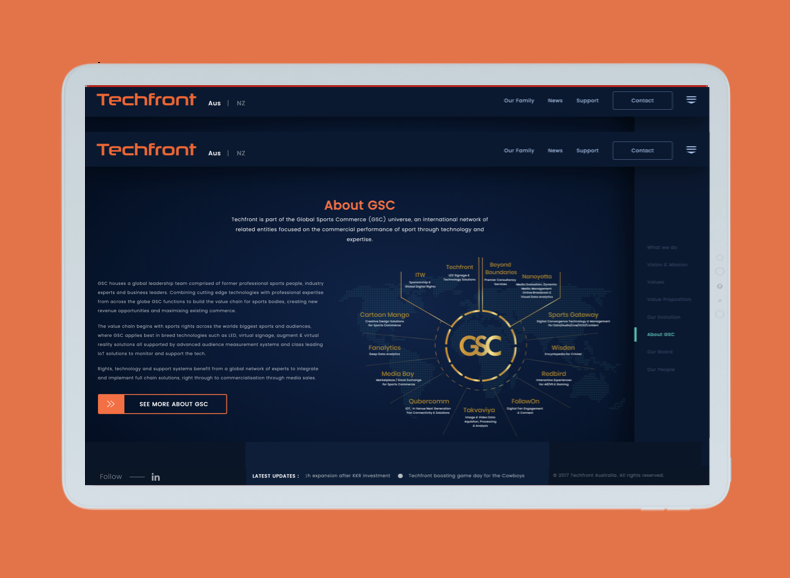 Cartoon Mango Digital helped Techfront create their digital presence by delivering a Website that translates the essence of their organization. 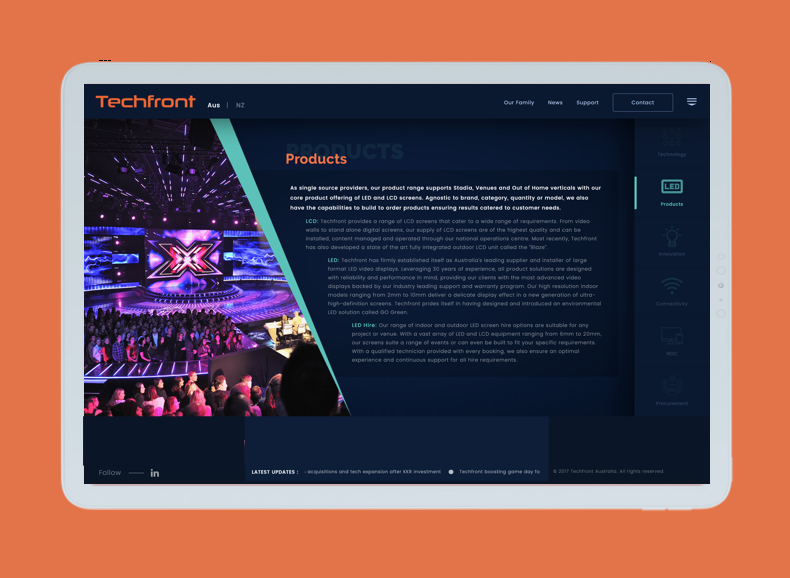 There was an intricate task to create a website where the design and the interaction had to be built to position Techfront as an elite/premium tech company who is revolutionizing the way sports is experienced in stadiums. They use technology to create engaging experiences for fans. We were tasked with capturing all of this and enhancing their branding through a website. The Website that was delivered to Techfront transcribed their depth of technology and systems, while showing their passion for sports. The website revolved around giving the users such as brands, stadiums and sports bodies the best of sports and fan appreciation. The Website was celebrated for upholding the values and ethos of Techfront. The website was perfectly able to translate the love for sports and the passion it held. Capturing of the fan journey was conveyed better. The website fulfilled the expectations of brands like Cricket Australia, Big Bash League, etc.